He is a father, husband, and entrepreneur who lives and works in San Diego, CA. He is an advisor for LeadPages, ConvertKit, and other companies in the digital marketing arena. He owns several successful online businesses and is a professional blogger, keynote speaker, Wall Street Journal bestselling author, and host of the Smart Passive Income and AskPat podcasts, which have earned a combined total of over 50 million downloads, multiple awards, and features in publications such as The New York Times and Forbes… Pat Flynn! Meg Brunson: Hey Pat, thank you so much for joining me today. Pat Flynn: Absolutely. I'm really excited about this. Thank you, Meg. Pat Flynn: It's so cool. Pat Flynn: Your amazing. Thank you! Why did you like… that's a crazy thing to say? Pat Flynn: and look at us now – your podcasting! 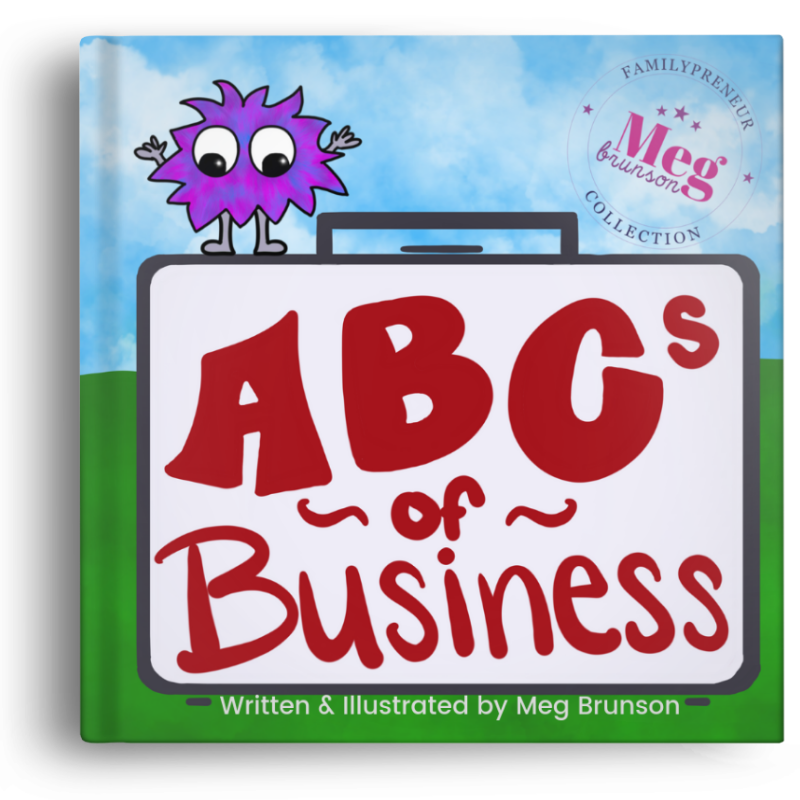 Meg Brunson: So kind of little fun story. Pat Flynn: And now you're podcasting with a pink foam ball and that's cool. I've never seen it before. So now you're, you're, you're making your own style, like you're doing exactly what you should be doing. Meg Brunson: I love it. Awesome. Well, I'm really excited to hopefully dive into some unique content with you. 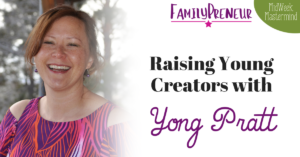 I really want to dive into your approach to parenting and exposing your kids to entrepreneurship. Pat Flynn: Yeah, let's do it. This is, this is my jam right now. I'm all about it. Meg Brunson: I, like I said, I discovered smart passive income in early 2017 and one of the first episodes I remember listening to is episode 266. It's an episode where you discussed the Fulfilled by Amazon Service and at the end of that episode you touch on the fact that you brought your whole family, including your seven-year-old son with you to Target and scanned items to fulfill by Amazon. And that Keoni, your son, called it a treasure hunt and it kind of became your thing. So I'm curious, number one, are you still doing that? And number two, what projects are your kids currently working on with you? Pat Flynn: We're not doing that anymore, although we do go to Target. We live close to one and whenever we go we walk by the clearance rack at the end of the, at the end cap and he goes, “Can we scan these? I want to just see what the profit margins are going to be in?” And he's talking like an adult. It's really, really cool and he's having fun with it, but we've moved onto some other things. We have a podcast together that we can talk about a little bit and that's kind of really in alignment with my approach with entrepreneurship is just like do it with your kids, let them in on the thing. When I was growing up, work was something that I felt took my parents away from me and I'm trying to make it the opposite. Like I want what I do to bring us together and so whatever I'm doing, I'm bringing them. I'm involving them in the conversation. I'm talking about the launches that I have going on, the books that I'm writing, I want them to understand why I do what I do, so that when I do have to be on my own and I'm in the Home Office or in the studio filming, they knew exactly what I'm doing. They know exactly why I'm doing it and it's there to not just put food on the table. It's there because it's there to serve other people in the world who need my help and already that's kind of injecting a lot of… selflessness in, in their lives I can tell because, they have this really giving nature that I know isn't like something they were born with. It's something that they're learning from myself and my wife, April. We do a good tag team job together with really trying to be great examples for them in terms of serving others. And that's really where it comes from. The other interesting thing is I'm very fortunate to live next to a school that they go to that teaches very similar concepts that I teach them related to entrepreneurship. It's a STEM school here in San Diego and it's a public school but it's taught with project based learning and it has a very entrepreneurial-technological tone on top of it. And so actually, last year and this year, my son participated in something called a maker fair where all the kids, second and third grade, they had to come up with a business idea to solve a problem or to create something and then they had to go in front of a panel of judges, Shark Tank Style, and actually pitch their idea to strangers and that like, I'm already getting goosebumps talking about this because like, think about what that's doing for a kid in his, his or her ability to present an idea that may or may not work out and it's not a, everybody gets a participation trophy kind of thing. Some of those businesses don't get selected and that's part of life. And to teach them these things now and to understand how to deal with failure, but also how to strive to, you know, present better and make mistakes and having that be okay. Like this is so the opposite of how I grew up. I grew up in a very traditional school, very traditional home, very much. I'd come home from school with a 96 percent on my math test and then my dad would go, “what happened to the other four percent?” And then we worked for five hours on figuring out that last four percent and it just crushed me, like to my soul. I hated that. It made me hate certain things about math and school, and things like that. Whereas, this school and the way that April and I teach, it's, it's uh, you know, it's okay to make mistakes. Failure is a part of the process. As long as we can learn from them together and find ways to be efficient with how we can do this better next time. This is what they teach. And so Keoni's business this year was selected. It was a pin company. Inspirational pins is where he created, the company name was called Pins Wins and he actually, so last year was very much so like Etsy related type things. So they have to like build things by hand. This year they actually got involved with manufacturing. So the investors, like the Shark Tank, paid for the manufacturing of these pins for Keoni's company, the kids who didn't get selected are now employees of the companies, the CEOs. So they're still working in those companies. And then I went into speak to talk about marketing. Other people came in to talk about design, another person came in to talk about, other aspects of marketing and entrepreneurship and just it becomes the whole project for the whole school year and there's so much learning involved. There's obviously writing, there's math, there's, there's those kinds of things that are just as a part of this instead of like coming home with a ton of worksheets, it's just really great to have them already experience business in the way that I do in real life, in a safe place where they can make mistakes and it's okay. And they teach how to learn from those things. So he's still doing business type things, but on another level now it's more than just scanning with an app on Amazon. But like I said, whatever I do, I'm getting them involved. And you know, I speak on stage now and Keoni's coming with me to some of the conferences he's seen me on stage. He's coming on stage every once in a while, and he's kind of getting a feel for how this is. And you know, the whole point here isn't to convince him that he needs to be an entrepreneur as well. I'm going to be the example and I'm going to show him what's available to him as an entrepreneur, whether he wants to go down that route or not, that's up to him, but the principles of entrepreneurship can teach you to succeed with whether or not you want to become an entrepreneur or not. If you want to be an employee, great. Go work for a company you love, and crush it there using these strategies that are going to help you stand out. They're going to help you learn how to make mistakes and learn from them, but also how to help serve the clients that you're serving through that business that you're working for. So this just as you can tell, I'm super passionate about this. This is what I want to see more of and I'm actually very excited because in the next upcoming years like I want the rest of my biography to be about not just Smart Passive Income and the business and the podcasts and all that, but how I've made some sort of change or started a movement in education toward more project based learning in entrepreneurship in schools like my. If I could snap my fingers, if I had a magic wand, I would have entrepreneurship be a subject in school like science, math, reading, entrepreneurship. Like I really think it should be there and plus it's fun. Kids have fun with this whole process and it just means the world to me. I would love to, to be an agent of change there. Meg Brunson: I wish that that was more prevalent. I know that we've moved around a lot, but with all the schools that we've been to, I've never had my kids have any experience like that, so we're just hitting the wrong schools. Pat Flynn: Well, new schools are popping up that are getting it. That's the cool thing. I'm part of a foundation here in San Diego called the classrooms of the future and James, the founder has done a really good job over the years of turning into something… where they award top curriculums around San Diego that are very innovative that have these business and science, like sort of things on top of it and spreading word and news about those things. And I think we're starting to see even in traditional schools now, they're starting to adopt it a little bit. I think we all kind of have a sense of, we need this change in education for where we are right now in the world and where things are headed. And we're also fortunate to have cool entrepreneurs now be a good example. Like Elon Musk or Jeff Bezos who are very much in the public eye who very much are doing some really radical cool things like Tesla and Space X, that are getting kids excited about starting things and being different as opposed to… Again, there's nothing wrong with this, but now we know we have the option to not just, you know, train to work at a place, but train to be the person who creates the place that can have other people work at it. Meg Brunson: You need employees there have to be people that are willing to do the grunt work. So we need all of those people. But like you said, it's nice knowing that there's multiple paths. If you don't fit into the box, you can create your own box, right? Pat Flynn: And any good CEO would know that, the groundwork is needed, right? But you pitch it as that person actually having a place in a bigger mission that you have. So yes, they're doing that work, but for what? They know what that is. And I think even with traditional schools, we don't emphasize the empathy enough. We don't emphasize the mission enough. We don't emphasize like serving others more than just like let's try to get the best grade possible. And if you get an A, you're great. If you get an F, you fail and you're bad and you got to go to summer school and all things are terrible. It's all grade and numbers related and I and there's more to life than that. Meg Brunson: You bring up a really good point and I actually want to take that and bring your family back into it. Meg Brunson: After hitting that episode and falling in love with how you involved your son, I searched back and I found episode 225, which is by far my favorite. It's probably one of your favorites. Yeah. It's you interviewing your family. Pat Flynn: April was so nervous for that one. 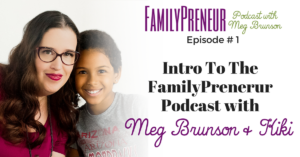 Meg Brunson: I feel like I could have my whole show just breaking that episode apart, so I'm just going to tell my people that they need to go listen to that episode and really hear the ways that you talked to your son because the answers he gives you. 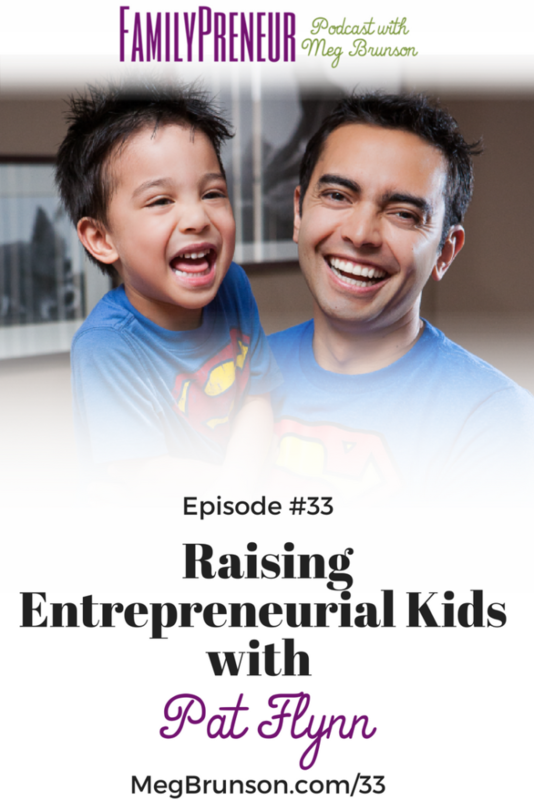 I feel like the way that you just engaged with him, it can teach us a lot about how you're encouraging entrepreneurship in your kids beyond the typical business stuff. It's not just marketing and sales. It seems to me that the most important values to you, from the episode, Were problem solving and philanthropy. Is that pretty accurate? Pat Flynn: Yeah, because that's really what makes any business successful is solving problems and philanthropy in the sense of not just, you know, because we talked about my campaign to build a couple of schools in Ghana. We got the kids involved with that as well, like that philanthropy – massively important. I want to encourage more people to do that, but also philanthropy in the sense of just thinking outside of yourself, outside of your immediate network to see how you might be able to serve others in different and fun and innovative ways and try and teach that to my kids is really important and, you know, I love that episode as well. April was so nervous. The kids were great. I should do another followup episode because the kids are a lot older now and you'll hear just how much they've grown, but also how much they even more embody that spirit. I have done a lot of research and a lot of work trying to be a great questioner. And to me that's what a great coach does. There's books written about it. There's a book called The Coaching Habit, which is written by a guy named Michael Bungay Stanier, and it's one of the best books I've ever read because it tells you that in order to be a great coach, you need to talk less and you need to let the other person talk more and have them figure it out for themselves. You're just the guide. You're just the Yoda. You're just the Obi Wan. You need to make the person you are coaching the Luke Skywalker of the story and I want to make my kids, you know, the Luke and Leia, right, and I am the guide. A good guide asks the right questions and has those people why they are helping figure out the answers for themselves because then they will own it. Right? It's very similar to how like the way we got our kids to eat greens back in the day… was we would let them put the Greens and the blender. We would let them, you know, using really safe knives, cut things and own it a little bit, you know, and when they have a part in it, now they want to consume it and it's great and I'm doing the same thing with what I teach in business and in life for the kids. So we never tell. I mean that's April and I do a good job. She catches me because I don't get it right all the time and I catch her and we powwow about it to get to get each other on board and you know, we both, we're not perfect and we make mistakes too, but we're always on board with trying to help our kids learn from our examples and asking the right questions. So, when the kids ask us something, we usually have a question to ask back to them, “Well, how might a person consider how to fix that?” Or… “how might” is a common phrase in our house, or what have you tried to solve that problem? What have you done so far to try and solve that problem? What might you do to solve that problem, right now? Before we even start teaching, and it's hard because as a parent we want to like… we want the best for them and we want to just give them the answers right away, but I think those are two different things. Sometimes the best for them is for a little bit of time to help them figure out what the answers are for themselves. That way they own it. That way they can embody it and practice it moving forward and that's kind of the approach that we take his parents. Meg Brunson: I love that… So, oftentimes we learn as much from my kids as we teach them. What is the most important lesson you've learned from your kids when it comes to building your business? Pat Flynn: This is a good question, but it's a very easy answer, and that's to have fun, to always have fun in what you do. It's not going to be fun all the time, but you can make it fun. Yes, they're going to be moments in your business where you're struggling and it's not fun at all, but then you remember why you're doing it in the first place. It's almost like running a race. You know, you run a race and when you're in the middle of it, you're just like – “why did I even – why am I not at home watching TV and I'm out here sweating. It's like 90 degrees, it's so hot why am I doing this?” But then you might think, well, why do I do this? I'm trying to get fit, trying to have fun. I'm trying to enjoy the day. I could always watch tv, but this is a good opportunity for me to go outside and be with somebody and run a race with them. And this is, this is why I'm here. So you know what, although it doesn't feel good right now, I'm going to bust through and get through it and then at the end I'm going to have a giant waffle because I will have expended so many calories running this race. So anyway, always trying to have fun. The kids are so great at taking whatever they have available to them and enjoying it. You know? When I went to Africa to see the schools that we had built, we went to a place where one of the new schools was opened up and we saw the kids playing in literally dirt, like they were just playing in the dirt with sticks and drawing lines in the sand and I had never seen smiles so big and then, you know, I go home and I'm like on my phone and the Wifi goes out. I'm like, “the Wifi is out,” (angry) and then I go, this is ridiculous. Like why? Like we lose sight of really just the core of what happiness is… when we live in this kind of culture sometimes. And I think it's good to be reminded of that and I'm thankful that I have the kids to remind me to just truly make the best of any situation. I think that's the biggest lesson because entrepreneurship is hard and sometimes the best answer is just like, you know, if I was a kid, how would I handle this? And that also embodies the idea of being creative and thinking outside the box. I think there was a lot of studies done, I think I saw even on tv once there's a show called Brain Games and this guy was doing this experiment at the mall, so he got a bunch of kids together and he got a bunch of adults together and he showed each person individually, a drawing. It was like a completely random drawing of something and the kids were making up all these cool fun things about this random drawing like a dragon that's flying in the sky and it's, you know, dropping apples on the soldiers down below in the castle and like, you're like, really? You see that out of that. But then you go to the adults and they're like – mmm, I don't, it doesn't look like anything. It just looks like scribbles, you know? Even though it's the same thing. So I think the kids reminding me to stay like a kid has been the most helpful thing. Meg Brunson: I love it. Have Fun with your work. Meg Brunson: So growing up I feel like every kid tells themselves, “I'm never going to do this or that when I become a parent!” I remember doing that multiple times. We know it all right until we actually have kids. So I'm curious what your biggest shift in perspective has been since becoming a dad? Pat Flynn: First of all, Keoni was the first baby I had ever held. It was a big… I was scared of babies, like my friends and my wife's friends had babies before us and they would always ask me to hold the baby and I was like, no, I'm going to break it. I don't, this isn't, this isn't what I want to do. But then it's weird – when you have a kid it's just like clicks and somehow that part of your brain is like, all right we're doing this, we're gonna make it happen. And then you start to get comfortable with it. But you know, there were a lot of things that I said to myself, I'm never going to do this as a parent. Then I catch myself doing it and a lot of it is me also catching myself, like, man, that my dad used to say that. And I'm not just talking about like the dad jokes, but saying things like, “That's the way it is.” My Dad used to say that all the time and I'd be like, oh, okay, maybe that is the way it is and I don't have to ask any more questions about this because… And I eventually got the clue that that was just my dad's way of saying like, don't bother me right now. And for awhile I started to say the same thing when, when April was pregnant, I was like, you know what? When the kids ask me questions, I'm always going to answer their questions no matter how many whys they ask. But man, they ask why is a lot. And it's hard to not want to stop that. But I also know that that's their brain trying to figure things out. And for a while I was just saying, well that's the way it is. But now I say things like, I don't know, so let's go figure it out. And then we go on Google and do the research to answer that question. I'm showing him that there are resources out there that can help him find that information and I'm also teaching him that I don't know all the answers. That's something that I've been trying to be very big on is the fact that you know, I am okay with admitting I am not perfect and I want to tell my son I'm not perfect as much as possible because if we want him to be perfect, but we are not perfect, then there's a disconnect there. He won't have as great of a relationship with us. There's some hypocrisy there. But now by being an example and showing, hey, I made this mistake and I, I admit my faults in front of the kids as I want to be the first one to admit it. I don't want them to catch me. I want to be the first one to admit it, but I'm also teaching them that it's okay to make mistakes and that if they make a mistake, I will still love them too. And that's not how I grew up at all. And so I'm thankful to have… and by the way, I love my parents. They're amazing, they taught me so much, it helped me become who I am and you know, thankful there's still alive today and are amazing grandparents to my children, but I do just disagree with how they raised me in some capacities and we're trying to do it differently and trying to make them the best little people they can be. So that's. I don't know if that answers your question, but it just kind of reminded me of that. Meg Brunson: …Which averages down to about one question every two minutes they're awake. Pat Flynn: That's crazy. That's insane. So what do we do? Do we answer them? Meg Brunson: I don't know… I wasn't researching what you do when they ask the question. Meg Brunson: I take a similar approach though. I love answering questions by asking questions. Especially the tough ones. Like when my kids come to me and say where do babies come from? And I don't really want to Google that. So I just ask them, where do you think babies come from? And it's typically age appropriate, and we just kind of roll with it. Pat Flynn: let their imagination take them somewhere. Meg Brunson: Right – so as kids grow up, it doesn't ever get any easier. It's just that what gets hard changes. So are you experiencing any shifts as your kids are getting older with involving them in your business? Pat Flynn: In the business? No, actually it's getting a little bit more exciting I think because their communication skills are a lot better. Their understanding of how the world works is much better, their capacity to not complain is much better. They're understanding the way business works now, which is really cool. It's cool to see them kind of, you know, both in different kinds of ways. My daughter, she's only five at this point, but she still has a little bit of a knack for entrepreneurship, a lot of the things that we're doing. But, what is interesting is just personality wise, and especially now that they're in school to see the influence that other kids have on them and how they behave is really interesting. I understand this is a major reason why a lot of people homeschool their children and it's a completely legitimate reason because, man they come home and I'm like, where did you learn that from? You know, and that's a very common thing. But thankfully, we've put things in place early on and I'm so grateful for April for committing 100 percent to being a stay at home mom, even though she has these big dreams, to make sure that they have the foundation needed to deal with the world and all that, that it might give them. So they come home with these things that other kids plant in their heads and we talk about them and they understand that that's not something they should say or that's not how they should behave. Or that's not something a person who actually wants to help others – That might not be how they would act. And so again, asking questions to teach those lessons, uh, it's just, it worries me because they're only going to meet many, many more people and I want them to meet as many people as possible, but I want to make sure that they stay in control of who they are and who they want to be in not, are heavily influenced by others who might give them bad juju. It's really scary, especially when you start hearing on the news and reading all these numbers about like, you know, all the bad things, but at the same time I'm like, you don't, we're putting in the work now so we can reap the benefits later. Which is my tagline for my podcast. But we're doing that with parenthood too. So we're putting it a lot of hard work now to be there for them and to build those relationships so that when they're older and they're faced with tough decisions, they can make smart decisions. When they need a person to talk to, they're not going to be scared to talk to us and just to believe in themselves. And the other new thing for me is I grew up an only child, so I don't know dynamics of brother and sisterhood. And so that's been a really interesting thing to experience as they grow older. They're bickering is changing, but it's a, I'm guessing it's just always going to be there in some way. It's just going to change. Like you said. Meg Brunson: Yea, I've got 4, so it definitely just changes with the ages and stages. Meg Brunson: I've heard you say that entrepreneurship isn't for everybody. I can definitely agree with that. But do you have any advice for the parent entrepreneur who really wants their child to connect with them on the entrepreneurial level, but the child just seems uninterested? Pat Flynn: I think, the way I phrase it would be they just aren't interested in that yet. Or, they aren't interested in those things. Every child is different. I don't teach parenthood, I'm not certified in any of this is just based on my own experience, but every kid's different. It seems even my two kids with the same kinds of DNA are very different and they each have different likes and dislikes. And although a person might not like what you do now and the first thing that you show them, show them something else. You've got to discover what those things are that they enjoy and see how you can incorporate that into what you do. For my kids, they like hearing themselves on the microphone. They like seeing themselves on camera. They liked those things. Others might prefer to write stories. And so if, if that, if your kid's a storyteller, a story reader kind of person, then how are you using stories in your business? Share some of those stories and talk about those stories and ask questions to pull stories and have that be your thing. You have to find your thing. Right? And I think that that's the hard thing is we try to often force what we do onto the people around us, versus trying to figure out what else they might enjoy and kind of having to kind of mold ourselves a little bit for them instead. And again, that's just not something that comes easy or overnight. But with a little bit of conversation and care and communication, I think that you can discover what those things are. I think for some of us we have to search a little bit harder. Meg Brunson: That's a great answer. It totally makes sense. Shifting your perspective, changing your mindset, pivoting, all of that normal stuff we do in business all the time. Meg Brunson: Before we go. I'd love if you just told us a little bit about the podcast. Pat Flynn: It's almost live. We're getting the artwork finished and then it's gonna go live. I'm trying to determine whether or not I should put all episodes up at once or have it come out once a week. I might just do all at once because this is just more of a fun thing, but it is something that's going to allow me to explore perhaps having conversations with others about education and kids and that sort of thing, but really it's more of a platform for my son to get used to just hearing himself and not just hearing himself, but hearing feedback from others and I think that's an important lesson that at this age he's ready to hear. Whether that's positive feedback or negative feedback, I think it's important for him to know that we're not going to be able to please everybody out there, but the podcast is called All Of Your Beeswax. A play on none of your business or “none of your beeswax” and it's something that, you know, kids say on the playground, but we wanted to just capture interesting conversations that happened after school. So whenever he comes home from school, he's just talking to head off. I'm like, I just got to capture this and I can guide the conversation just like I did in episode 225 into lessons that not just he can learn but by recording this, others can learn as well. And what we really want to do is just encourage parents to have conversations with their kids and kids to have conversations with their parents about these things. So each episode is like a theme. First one is about some of the philanthropic work that he did at his school related to the hurricane that hit Texas not too long ago. Hurricane Harvey, I think it was. And they did a fundraiser at school and he put on his own fundraiser for it and we talked about like, why is that important, what did you do and how do you do it in those kinds of things. Another episode was about how he finally was able to ride his bike and kind of encouraging others along the way to realize that like even though you want to do something, it might be very difficult at first and it's gonna, you're gonna get frustrated and that's okay, but the more you do it, the better you get at it. And you know, you take the training wheels off and you kind of go a little bit and then you go further. And then eventually, it just clicks. So all kinds of fun episodes that I think a lot of parents and kids can relate to. Obviously family-friendly. And my favorite part is we have a theme song. For most podcasts I wouldn't recommend… I'm somebody who teaches a lot of podcasters how to podcast… I wouldn't recommend a two minute intro in the beginning of every episode that's exactly the same… but since it's for kids and it's a fun song with a lesson involved, I think every episode is going to have this song at the beginning that's hopefully going to be catchy and people will remember. I don't know if you've heard it yet, Meg? Pat Flynn: Okay, cool. So it'll be a nice surprise for you and the listeners too when you head over there. Meg Brunson: Who sings it? Pat Flynn: We hired one of my friends' companies and it's like literally like a rock band that plays it, sings it and it sounds like it's so cool. It's one of my favorite songs and you'll hear it, and your kids are going to hear it, and you'll probably get sick of it over time because they'll want to hear it again and again and again. But it's just really cool and I think, you know, I remember playing that song for Keoni when we got it, and he was just like mind blown. He couldn't believe that his name was in a song and you know, like to finish off like that's for a kid. That's a huge deal, right. Like I just heard my name in a song… and I didn't say it… like somebody… like… that's not hard to do. You can go to fiverr.com and find somebody to write a song about your kid or draw a picture, like with your son and a cape or something, like those little things go a really long way to encourage kids to just like be creative, explore, to put themselves out there and have fun at the same time. And that's kind of what we're doing with this podcast. Meg Brunson: …Before they officially launch theirs. Pat Flynn: That's so cool. 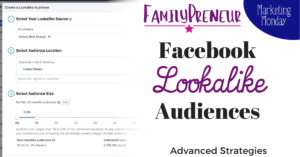 Meg Brunson: Where can our listeners learn more about you? Where do you want to send them? Pat Flynn: So you can find more information about me and what I do with entrepreneurship at SmartPassiveIncome.com and I'm at @Patflynn on most social media channels, but the podcast, you'll be able to find it on itunes when it's up there at All Of Your Beeswax and you'll see it. It'll be a lot of fun, so I hope you enjoy it. Meg Brunson: Awesome. Pat, I can't thank you enough for taking time out of your schedule to record this episode. It's been so eye-opening and insightful. Pat Flynn: Thank you so much. Pat Flynn: Thank you, Meg. Thank you everybody. I highly recommend working with Pat! Pat Flynn is one of my favorite entrepreneurial mentors. 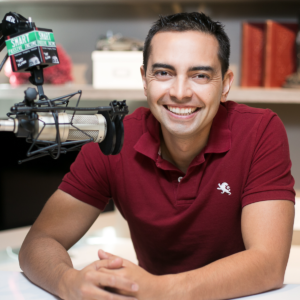 His course, Power-Up Podcasting, guided me through the launch of this podcast and he has a TON of other amazing resources if you are interested in Affiliate Marketing, launching a new business idea, and more! I welcomed Kathy Stowell from Bliss Beyond Naptime to the show. She shared information about the 4 pillars of Mama Bliss and why they are so important for mom-entrepreneurs. It's a concept that Kathy got from a parenting book and instantly, she saw the connection to business. She also shares some interesting insights on the importance of allowing our kids to be bored, and how that nurtures the entrepreneurial mindset! Next week, Gelie Akhenblit will share her amazing story of emigrating to the US as a refugee from the Soviet Union, and how that impacted her journey to freedom as an entrepreneur. Gelie shares the raw truth of what happened when she divorced her husband and business partner – the effect it had on her personally and professionally. She's built her business around in-person networking, and also shares some great tips for attending networking events – even if you're an introvert! 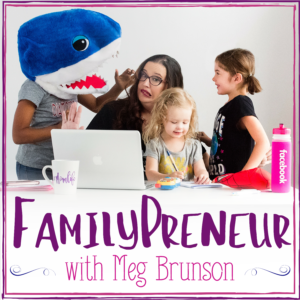 Gelie is an amazingly inspirational person, and I love how real and honest she is in her work – subscribe to the FamilyPreneur podcast today so that you don't miss Gelie's episode – or any of the amazing guests we have in store for you down the road!